Roller derby wheels sold by pack of 4 wheels. You slip into the corners? Skating on a slippery surface? You want to stick a wheel? 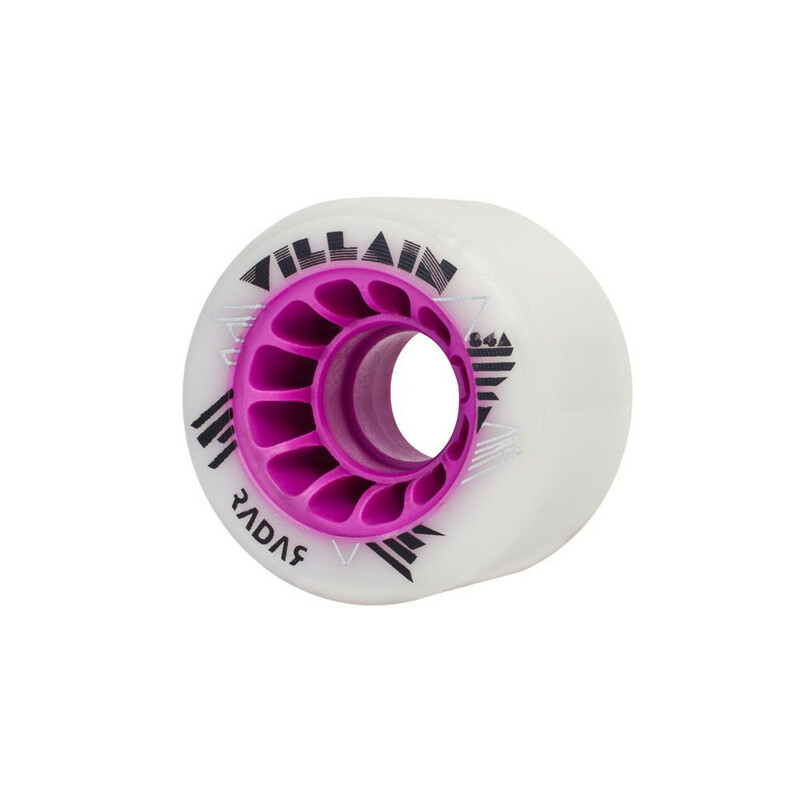 RADAR Villain wheel is for you! The Villain offers intense amount of grip but it also has a good "runnability", making it the fastest hybrid on the market. The RADAR Villain's hub has been specially designed fins to provide rigidity, reactivity and balance of the wheel. Do not sacrifice speed for more grip! This wheel is perfect for skaters who like to ride in indoor and outdoor. You will never change your wheels again! This wheel works on both indoor and outdoor applications.